Effective writing skills are essential for professional and academic success, and academic programs at the Academy depend on solid writing skills. With this in mind the Academy maintains an online writing lab known as the Academy’s Center for Collegiate Excellence and Student Success (ACCESS). Housed in the LMS, the writing lab presents 50 online tutorials designed to help students foster better writing in an effort to further their academic success and professional advancement. Once completed, the tutorial is assessed and feedback provided to the student.  Student participation in the ACCESS program is optional and is generally prompted by suggestions from faculty when assignments have been reviewed and certain deficiencies have been noted. While participation does not affect a student’s grade, it is widely acknowledged by students who have used the tutorials that ACCESS can and does improve academic performance. Assessment of the ACCESS tutorials is based upon specific rubrics, which can be found in the Academic Catalogs. As students submit their writing assignments, they are graded by the course instructor according to the appropriate grading rubric. Students are strongly encouraged to complete the suggested tutorial(s) and to complete and upload the tutorial exercises in an effort to master any deficiencies in writing.